TBS was delighted to host a MAIASTRA CONCERT as an addition to our normal programme. Of Mozart’s six viola quintets the one in C major most gloriously combines a sense of exhilaration with one of seriousness, with the last movement a mixture of sheer joy on the one hand and complex counterpoint on the other. Written by Mendelssohn when he was only thirty six, but just two years before his death, the Quintet reminds one of the great Octet written twenty years earlier, with the opening in each case brilliant and exuberant – the first violin cast in the role of soloist. 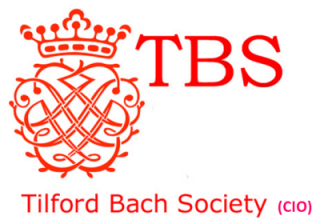 There was a bonus in the form of a “surprise” concert offered to the Tilford Bach Society on Saturday, 26 March at the Farnham Methodist Church. There was no charge for tickets but a retiring offering for the works of Maiastra, the charity providing the concert. Music and musicians benefit from a number of foundations and charities designed in different ways to encourage emerging professional musicians and Maiastra is one such, but with a special approach. It offers four courses a year to which the chosen musicians are invited to spend about a week of intensive training on selected musical works under the guidance of a well known professional musician who acts as the course director. At the end of the course, the group perform concerts to audiences chosen for their musical sophistication. This was therefore an evening when everybody present considered themselves chosen and privileged. 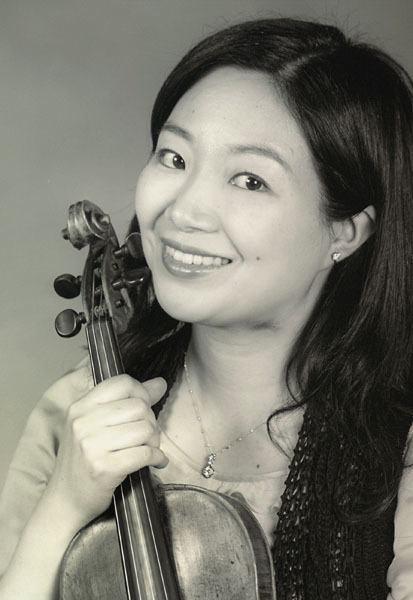 The works selected were two ‘Viola Quintets’, the combination being slightly unusual – the commonest format for string ensemble being the ‘String Quartet’ of two violins, a viola and a cello. Just add one viola and you have a ‘Viola Quintet’. The title is slightly misleading because the two violas do not dominate the works, they simply differentiate the instrumental grouping. The first work was Mozart’s Viola Quintet in C (K.515), a superb work little heard in live performance because of the relative difficulty of assembling a quintet. Mozart’s genius for opera comes through in many parts of the work with the exchange of musical ideas between instruments, particularly the first violin and the cello. After an interval, the audience heard the Mendelssohn Viola Quintet in B flat Opus 87, published posthumously because the composer did not greatly like it himself, being unhappy with the finale. The TBS audience clearly disagreed, respectfully, with the composer’s own assessment. The whole work is enjoyable and uplifting, and the finale rushes to a wonderful climax. 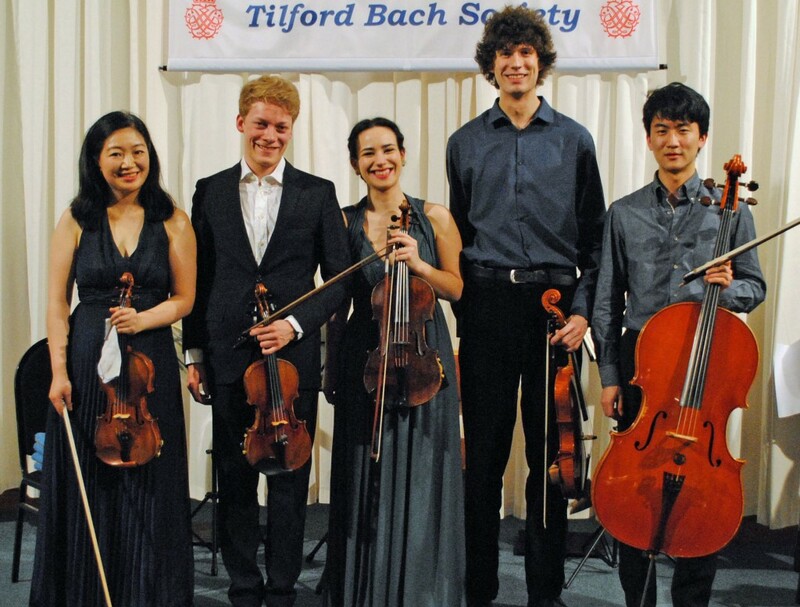 The enthusiasm of the audience ensured an encore from this talented group, which comprised two Japanese, a Portuguese a German and a British musician. The course director, Arisa Fujita, is an established professional who played first violin. The students are all highly talented string players who, having come together for this particular musical programme, may sadly never play together again. Laia Braun – violin, from Switzerland is studying at the Royal College of Music where he is a member of the Arcos Quartet. Ana Alves – viola, from Portugal was the winner of several first prizes in National Portuguese Competitions before coming to London to study at the Royal College of Music. Tom Widdicombe – viola, from Great Britain is studying at the Guildhall where he is also a composition student. Akito Goto – cello, from Japan, who studied at the Purcell School and is now studying at the Guildhall School of Music and Drama with Louise Hopkins.